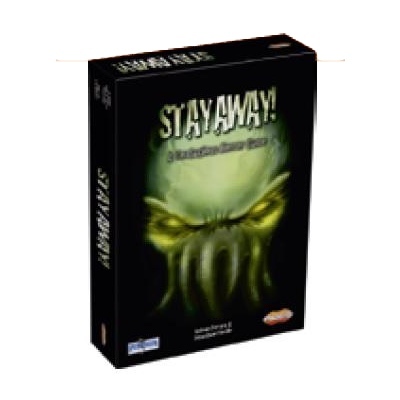 In Stay Away!, 4-12 players try to track down “The Thing”, a creature awakened from a nauseating eternal slumber on the emerged R’lyeh island that has the capability of possessing the human body, cloning it, then taking its place, so as you play you won’t know who “The Thing” is or when someone will become “The Thing” or who is infected or not. The archaeologists are looking for The Thing; their goal is to work together to identify which player is The Thing and roast it with a “Flamethrower” card. 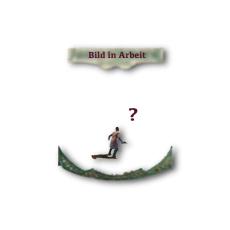 You remain Human until The Thing passes an “Infected!” card to you during a card exchange, at which point you become an Infected and take on that new Role: You are now an ally of The Thing and must take care that its identity is not revealed.